People who I met when traveling. 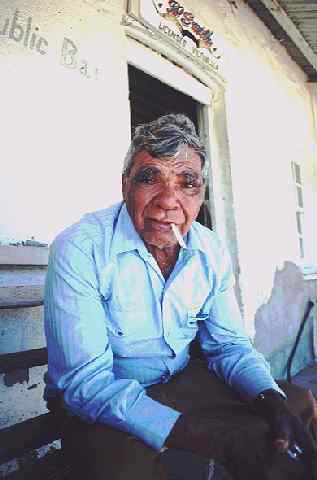 This old man lives in the Outback of Queensland, Australia. He said his job is a cowboy. Why is his face is so sad? He told me "my son was killed yesterday by somebody". I don't know it is true or not but I gave him one cigarette when he asked.